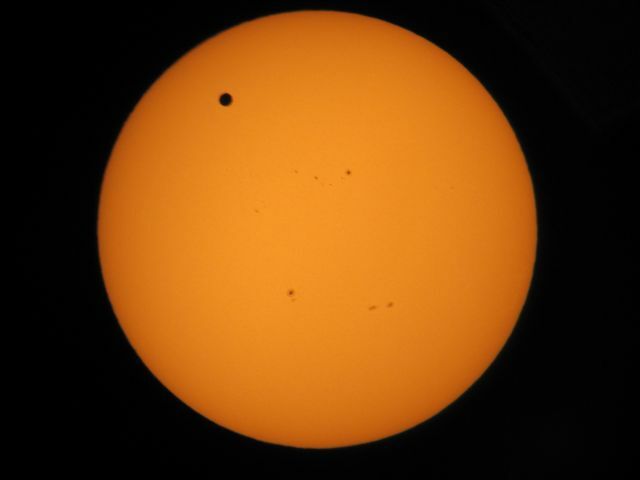 On Wednesday 6 June 2012 ASV members keenly observed the Transit of Venus. To celebrate the occasion the ASV held an event in conjunction with the Royal Botanic Gardens Melbourne (pictured to the right) that allowed the general public to experience this rare astronomical event. 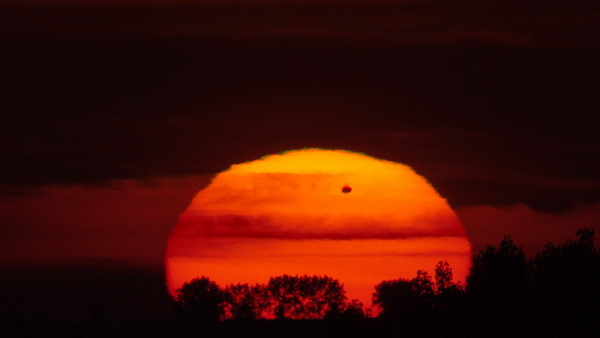 Although the last transit was only eight years ago, the next transit of Venus will not occur again until December 2117. There is an excellent fact sheet available from the Astronomical Society of Australia that can be downloaded here. 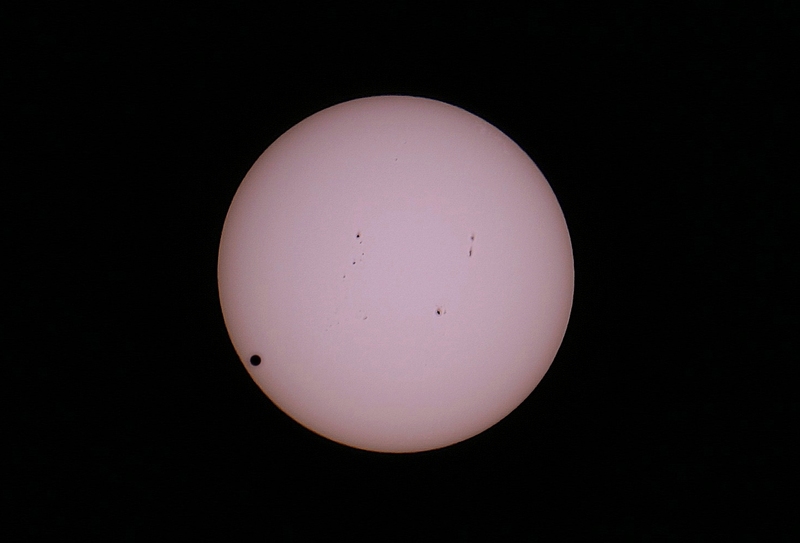 Fortunately the entire event was visible from most of Australia and New Zealand and many ASV members were able to take images and videos, some of which are presented below. 305mm f5 dob stopped down to 70mm using white light filter. Approximately 60 unprocessed images used for the animation of 3rd contact. Canon EOS 550D and 2X Barlow at prime focus. ISO 320 at 1/60 sec. 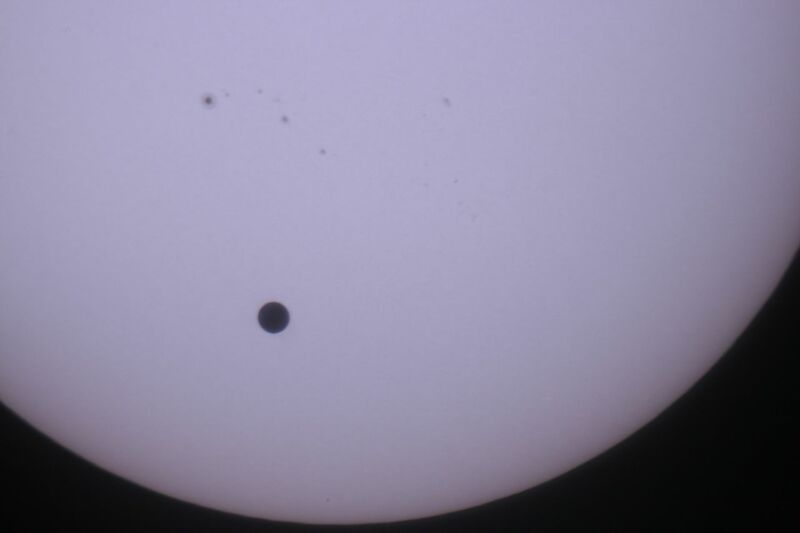 Prime focus through a FSQ106 with Baader solar filter using a Canon 300D DSLR. 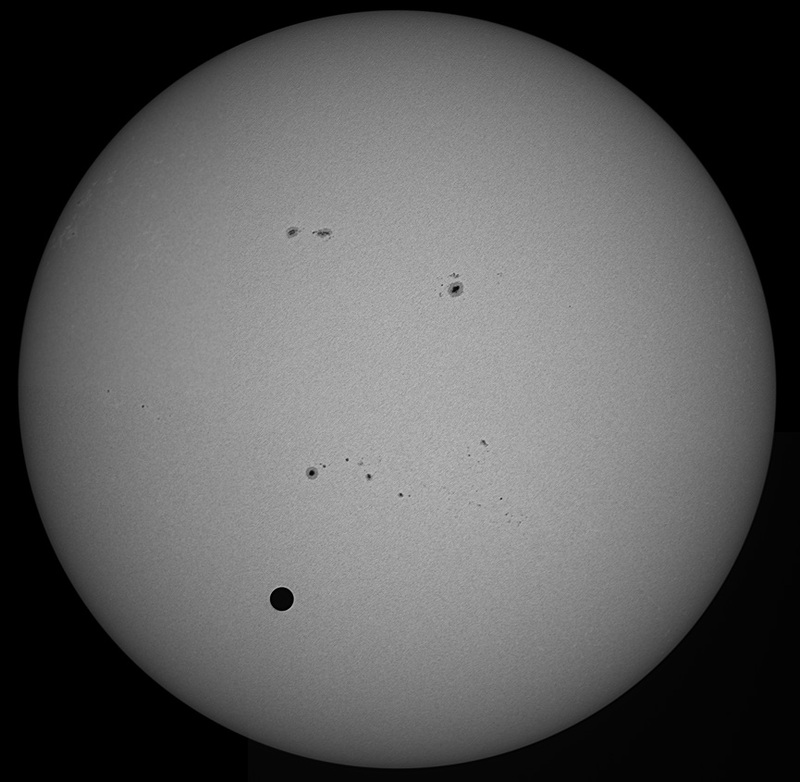 Series of images processed and stacked in registax5. 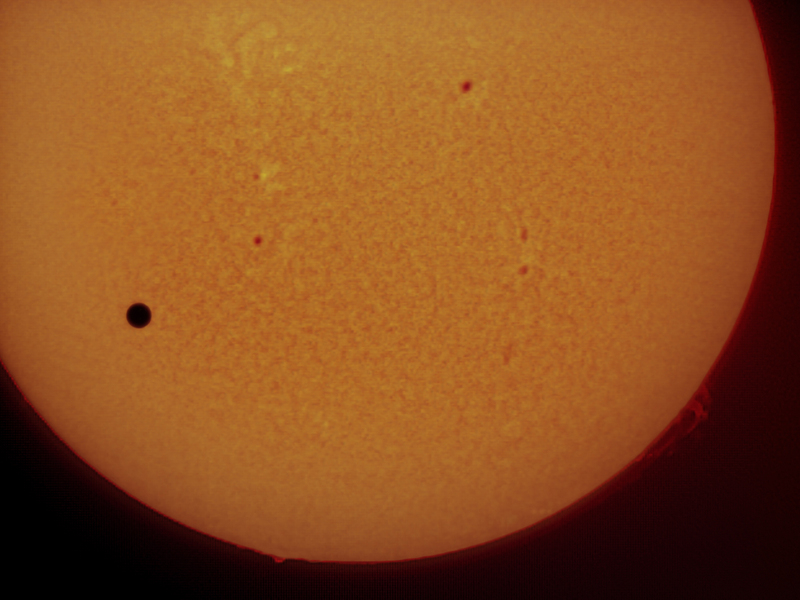 Taken from Croydon Hills, hand held 25mm eyepiece projection through a 8"f5 Dob full aperture glass solar filter with a Canon D10. 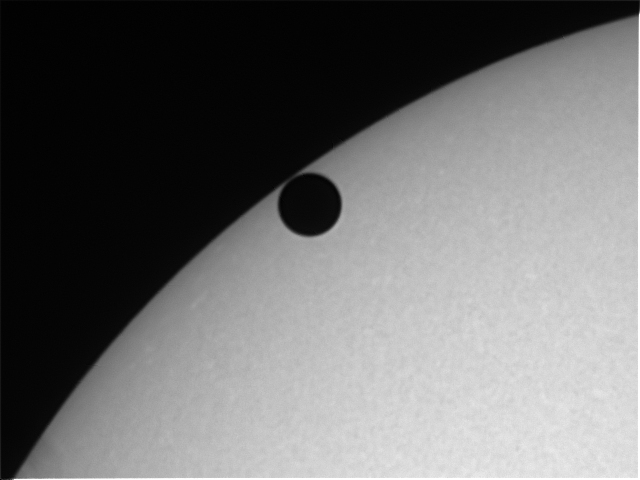 Taken with the ASV's 100mm f/5 solar scope fitted with a Coronado solarmax 60 Ha filter. 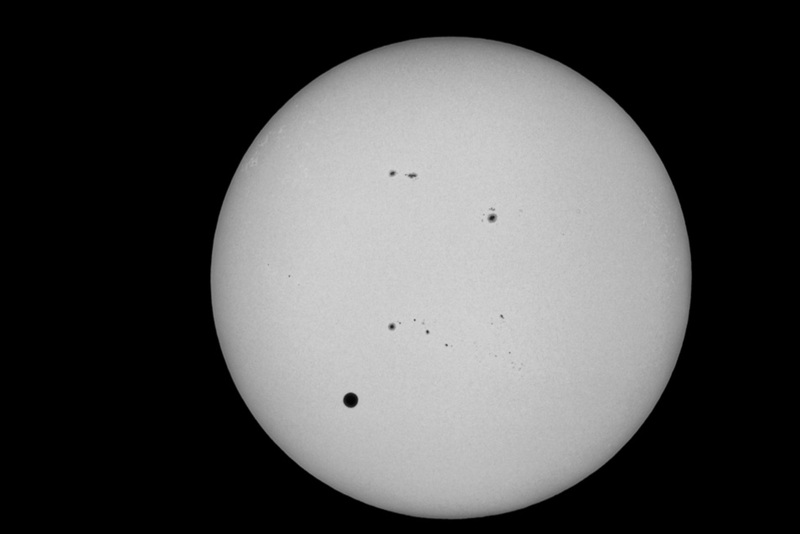 They were taken from the Old Melbourne Observatory grounds with a DMK21 firewire camera. 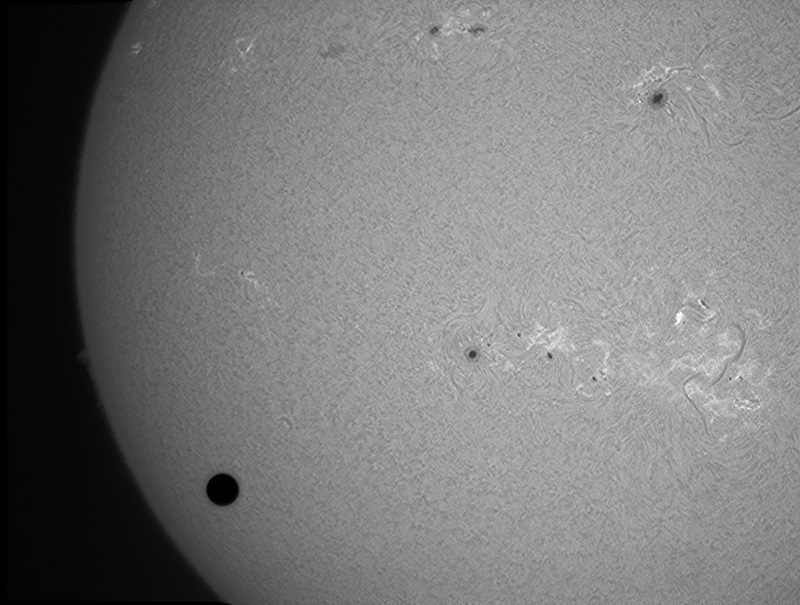 Video stripped & processed with Astrostakkert & then sharpened with VC deconvolution. 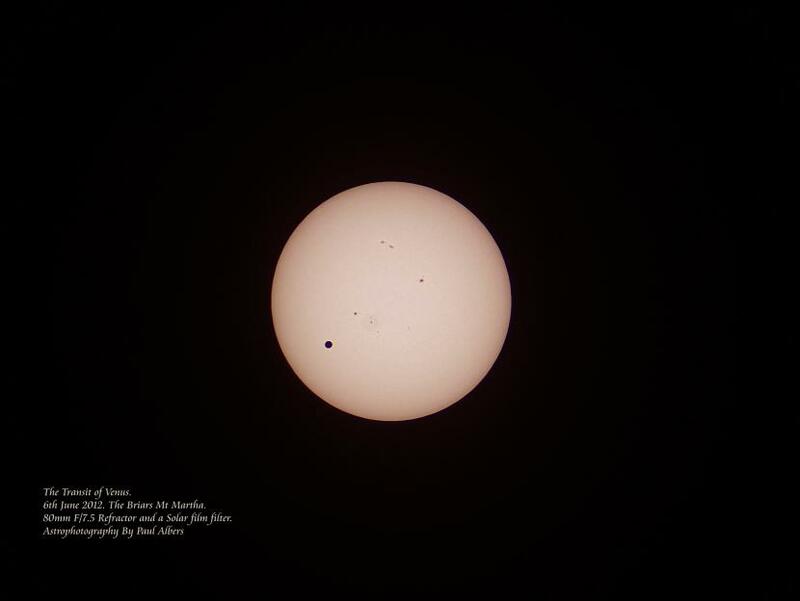 Taken from Brunswick using modified Canon 40D and Orion white light solar filter through William Optics FLT 110 refractor and Tele Vue 2X Powermate. 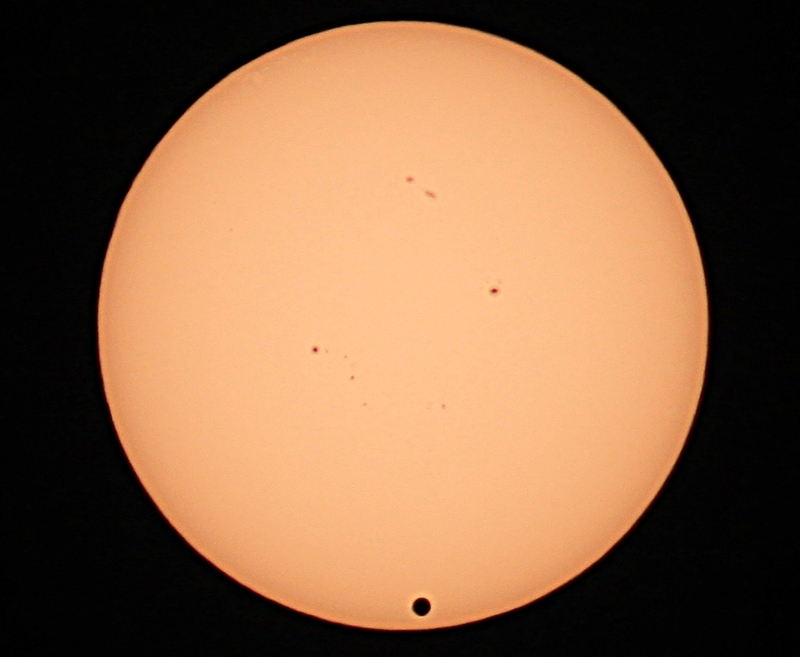 This was imaged from Heathcote, Vic at 13:05:20 local time. Processed with Registax 6, and then a little further with ImagesPlus.